Figure 5-8. --DD Form 1348-1 used as intership transfer document. Figure 5-9. 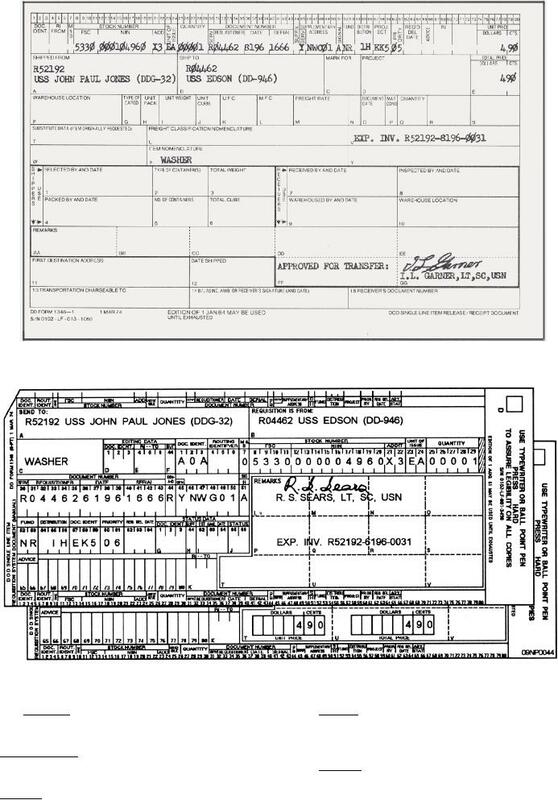 --DD Form 1348(6-pt) as an intership transfer document. and is filed in the expenditure invoice file after posting. discarded if applicable to APA material.